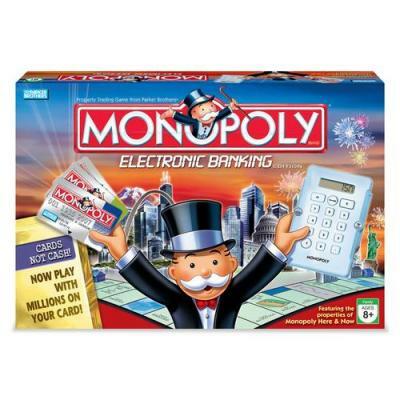 Now players can experience the most current version of Monopoly with an electronic banking unit instead of cash. A truly fun experience which utilizes today's trend of a cashless society. 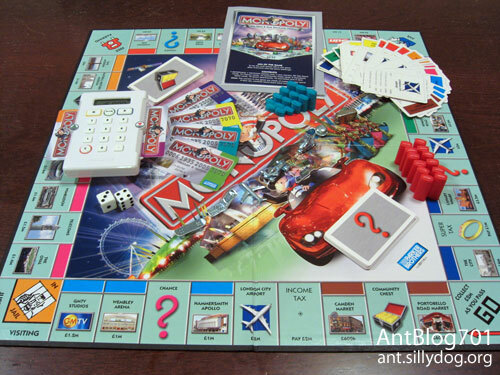 Update to classic board game with electronic banking instead of paper money. 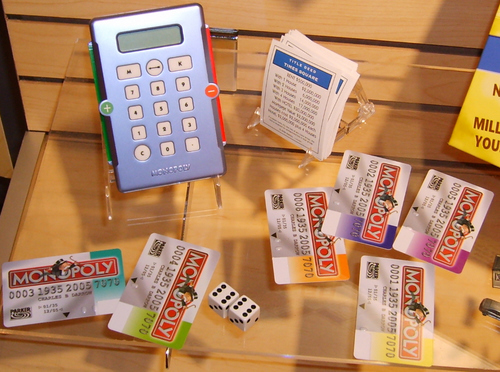 Comes with board, Banker Unit, tokens, title deed cards, chance cards, community chest cards, Monopoly bank cards, houses, hotels, dice. Uses two "AAA" batteries, sold separately.